Is PCA’s North Florida Region Right For Me? You BET it is, and here’s why! Our Region has members with interests and expertise in all facets of the Porsche Experience. From Concours and Restoration to Club and Vintage Racing, with everything in between, PCA’s North Florida Region has it all! We truly hope you’ll decide to Join in the Fun Today! and see what you’ve been missing! 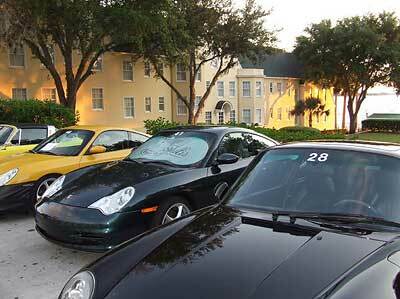 Welcome to the Official Website of the Porsche Club of America's North Florida Region! If you're a Porsche Owner living in North Florida (or nearby Alabama and Georgia!) you've found a Great PCA Region for meeting up with fellow enthusiasts who enjoy these wonderful automobiles as much as you do! If you're already a PCANFL Member then you know what we're talking about. Not a member? Then check out this website to get a feel for who we are and then drop in at one of our Monthly Socials in the Canopy Roads or Emerald Coast areas to introduce yourself and meet the folks. If you like what you find (and we sincerely believe you will! ), your membership in PCA's North Florida Region is only a Few Clicks Away! We look forward to meeting You and sharing your Love of the Porsche Marque! Make sure that you check out our facebook page for the most 'Up To Date' information on the region's activities!